Beachside restaurants are the best. There is nothing better than sitting outdoors on a beautiful sunny day at the beach, taking in all the scenery as you are enjoying delicious food and drinks while being accompanied by friends enjoying a lively conversation. Miami Plage in Monte-Carlo is where you can have this type of experience and a whole lot more. First off, you’re at Larvotto Beach in Monte-Carlo! 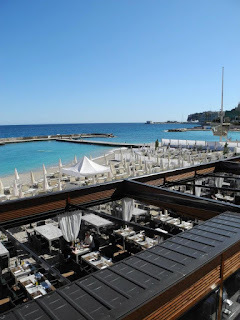 Secondly, Miami Plage is in the very center of all the action with the restaurant, outdoor terrace (which holds up to 300 people) along with the private beach area. The actual indoor restaurant itself is more than suitable for couples and groups of people but I love the outdoor terrace and beach. 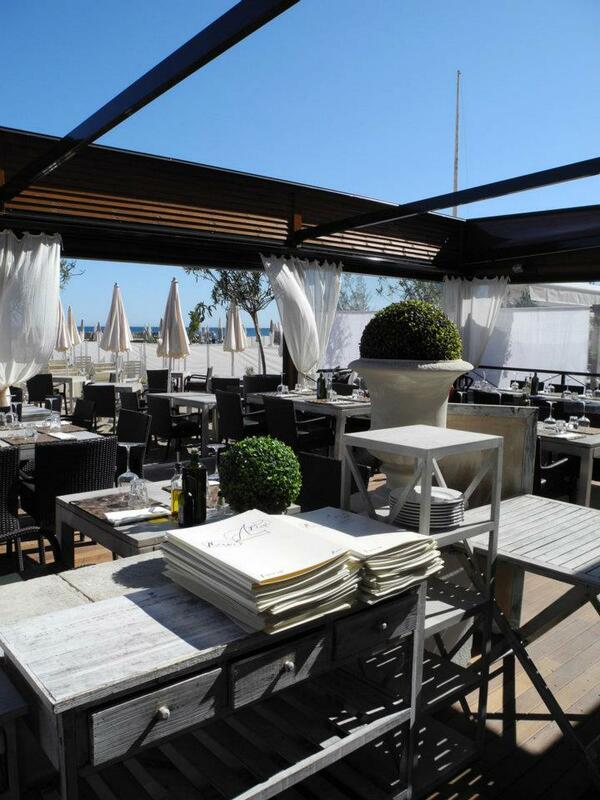 The décor has a beach chicness feel to it that helps provide for a wonderful ambiance. 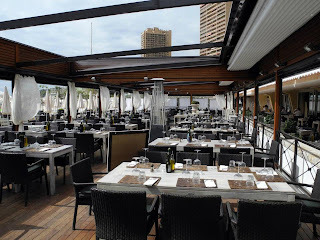 And if it gets too hot, the overhead retractable roof can be closed to provide some cooling shade, yet if the stars in the sky are shining bright at night, the roof is sometimes kept open to help provide a more romantic atmosphere. 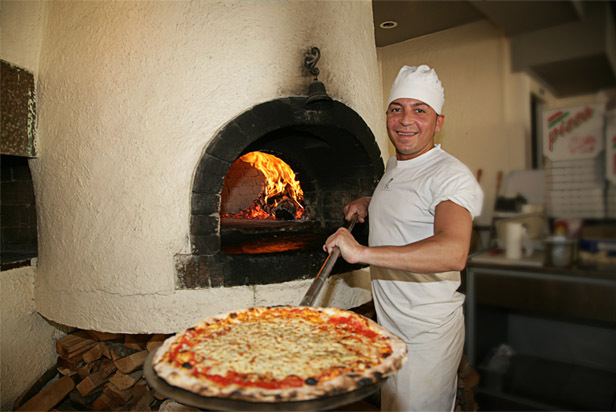 And just wait until you taste the homemade pizza direct from their wood-fired oven! I was told this was one of the better establishments to get some real pizza and it is true. 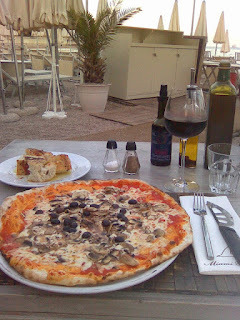 Believe me, I’ve eaten pizza from one end of the French Riviera to the other but this was the real deal. You’ll find it’s very close to what a North American style pizza looks like (if that is important to you), but probably a whole lot healthier given the fresh ingredients. 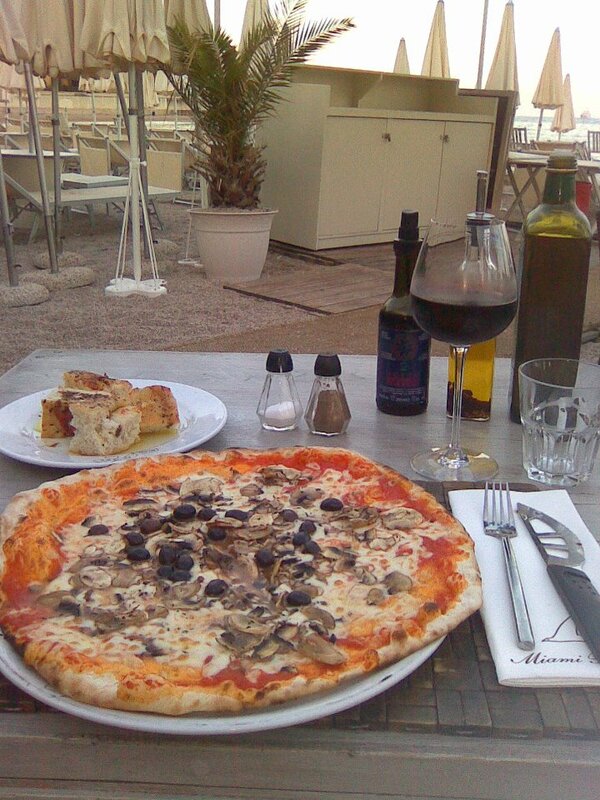 Along with pizza, there is also a wide variety of other foods you can enjoy. 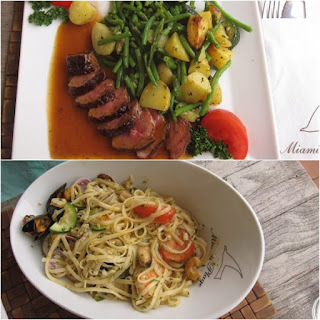 Different types of fresh fish, pastas, steak, even club house sandwiches if you like and let’s not even get started with the mouth-watering drinks selection! Service gets full marks, the people that work here are like family and in turn you are made to feel as part of one too. They may be speedy on taking care of your needs but you never feel rushed and on my visits with friends we’ve always stayed well over two hours easily, enjoying the food, company and surroundings. And what’s better than spending the day under the hot Mediterranean sun, getting a bit tipsy drinking rosé while you tan on one of the lounge chairs that you can rent on their private part of Larvotto Beach, only to take quick dips in the sea to cool down every once in a while? 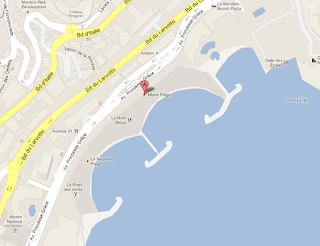 Getting here is a breeze; everything is easily within walking distance in the principality. 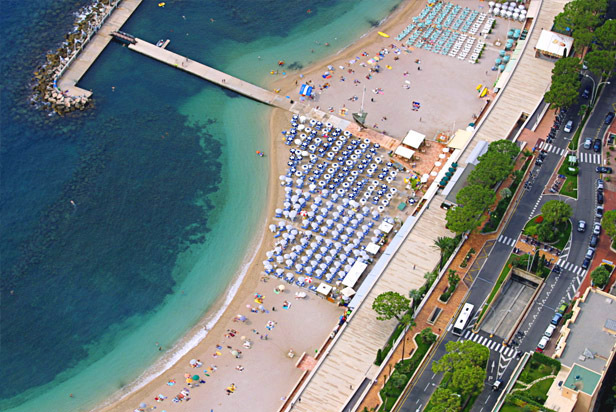 Head towards the Grimaldi Forum and next to it you can’t help but notice Larvotto Beach, follow the boardwalk and in about the middle of the beach area is Miami Plage. Miami Plage is very good value for the money and nothing can beat the experience. 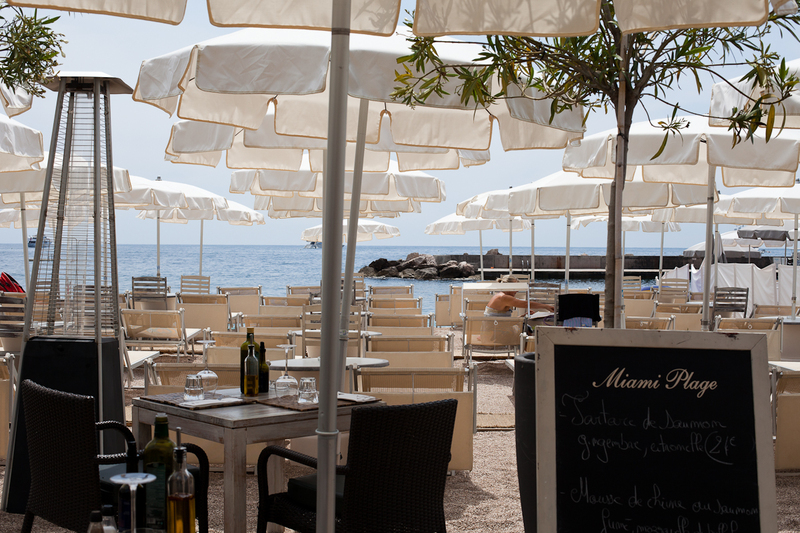 You are right: if you've ever eaten a pizza at Miami Plage you're spoilt rotten. 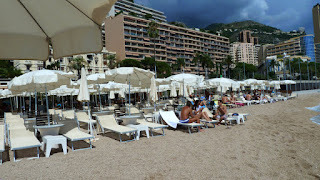 They are excellent, large choice, great looking waiters (a bonus) and when it's warm you can have a meal right on the sandy beach. Otherwise inside it is also cosy. Highly recommended.